Have you heard of matcha? Do you love matcha? I grew up mostly in Tokyo and have been drinking and eating all sorts of green tea. 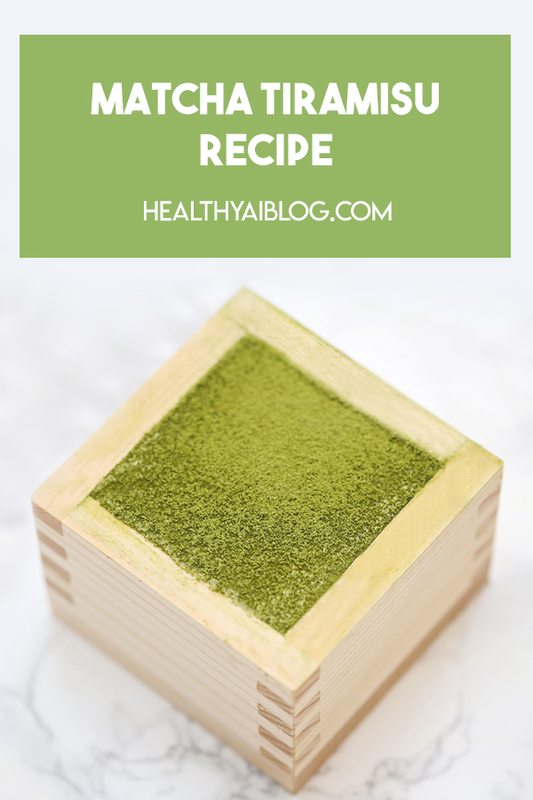 Matcha is a type of powdered green tea that has so many health benefits! It’s naturally high in antioxidents. 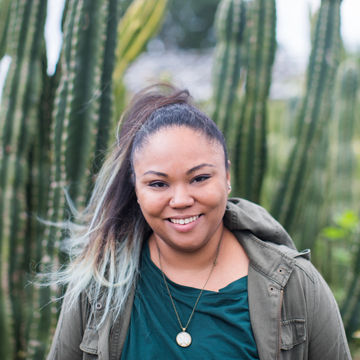 Antioxidents help keep down the levels of free radicals in your body (free radicals can cause illnesses such as cancer) and help fight aging period. I’ll take all the help I can get! Plus, it’s full of great vitamins and helps fight bad cholesterol. Matcha is amazing! Plus, it’s delicious. Matcha Tiramisu is a great way to incorporate matcha into your diet! I bought this lovely matcha from Amazon. It’s made by one of my favorite popular green tea brands, Ito-En. Plus, isn’t this canister just cute? Let’s get started! Place 1 cup of water into a pan and bring to boil. Add sugar and matcha powder to water and whisk. After the mixture is incorporated, chill in refrigerator. In a bowl, mix together 3 egg yolks, 1/3 cup sugar, and 1/3 cup milk. Place this mixture in heavy bottom pan and bring mixture to boil for one minute while whisking. After mixture has boiled for one minute, place back into bowl and chill in refrigerator for an hour. In a stand mixer (or you can use a bowl and a whisk or electric beater), start whipping cream on medium speed. After 1 minute, add vanilla extra. Keep whipping until stiff peak stage (meaning you can pull the whisk back and there are peaks that won’t melt back into mixture). Set aside. After yolk-sugar-milk custard mixture has chilled, thoroughly mix in mascarpone cheese. Fold in whipped cream to the custard base. In the bowl you use for your tiramisu container*, layer half of the lady finger cookies. Then pour some matcha syrup directly onto the lady fingers (or you can dunk the cookies directly into the syrup). Then pour half of the custard whipped cream mixture onto the soaked lady fingers. Then layer cookies/syrup. Then add custard mixture. 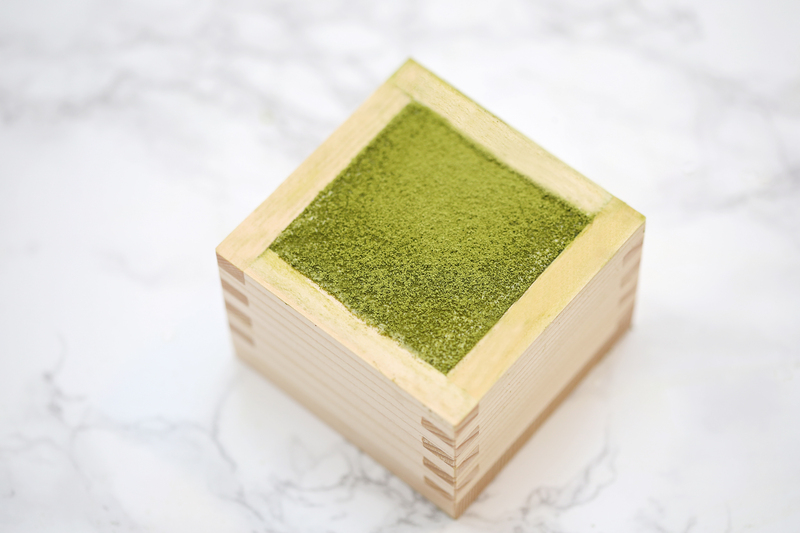 Lastly, add a sprinkling of matcha powder onto the top. I used a little tea strainer to sprinkle the matcha finely. *I used a sake masu cup for the containers, but you can use a large bowl or many tiny bowls or a plethora of different sized bowls. The world is your oyster. The recipe looks interesting and I can imagine that It would taste equally amazing. Amazing!! I am drooling as I read this recipe! Interesting! I’ve heard of matcha before but didn’t know what it was until now. Thanks for the info! Ive never tried anything like this, but it sounds interesting! Thank you so much! I hope your matcha tiramisu turns out really great!